I just finished the Mitchell piece this week and felt the same way about her — what a fascinating person with genuine goodness of heart. 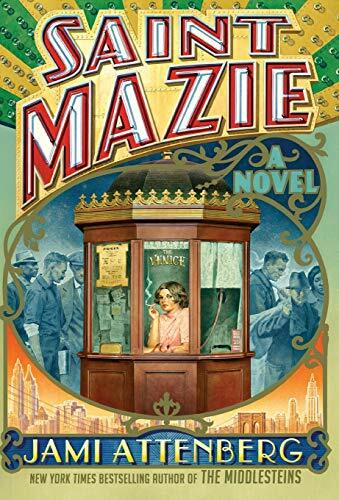 Looking forward to this book since i wanted to know more about Mazie, too. Great interview, thanks. What, exactly, is this piece? Not an interview, not a review, not an essay. It ends up just reading like a puffy marketing piece. I think it’s fair to ask if the Millions has become so successful, such an integral part of the lit machine, that they are no longer able to be objective. That the Millions isn’t about lit anymore but rather self-sustenance (i.e. the ability to continue to draw ad revenue). I’ve been coming here for years (the price is right), it holds a nostalgic place in my heart, but the quality decline, which was gradual at first, is accelerating at an alarming rate. Thanks for the years of good, free material, Max, and best of luck. Unfortunately, it turns out that articles written by Joseph Mitchell don’t have much truth in them.